We all know the importance of setting goals – they provide focus, hold people accountable, and propel businesses forward. That’s why, twice a year, the Reitmeier leadership team meets in a strategic planning session to make sure we have goals with actions and deadlines that are moving us in the direction of our Big Vision. By focusing on this Big Vision and creating concrete goals to reach toward it, we’re able to make a positive impact on our employees, our clients, and the environment. We’re excited to share the recent progress we’ve made – and partnerships we’ve formed that align with this greater purpose! Saved customers nearly 1 million kilowatt hours in 2015. In March 2016, Reitmeier was recognized as a Top Trade Ally for Energy Trust of Oregon. 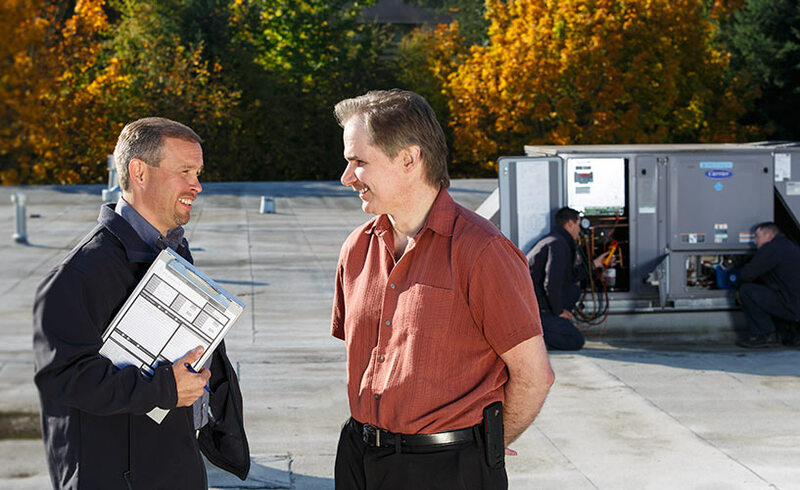 With more than 1,400 trade ally contractors in Oregon and Southwest Washington, Reitmeier ranked #5 amongst non-lighting trade allies in providing energy savings to customers through custom projects. Solved the problem of air filter waste: Through strategic partnerships with local, like-minded companies, we have solved our air filter waste challenge. 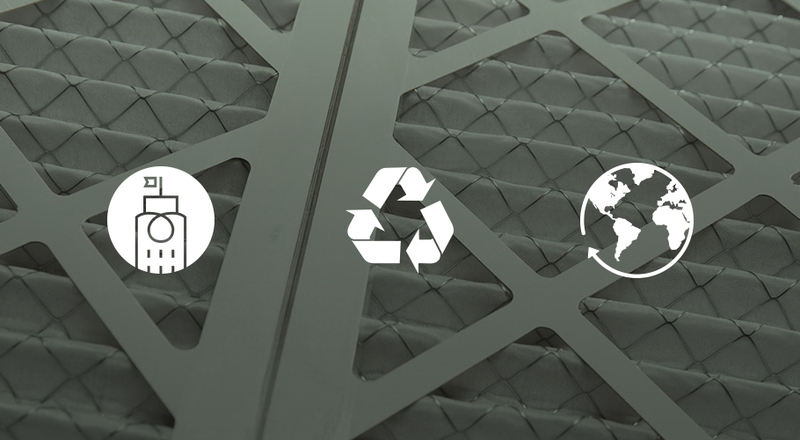 With our new system in place, zero percent of our clients’ air filters end up in a landfill or in their on-site dumpster. Invested in a sustainable fleet: Inefficient cars and carbon dioxide-emitting trucks contribute daily to global warming – and as an HVAC Contractor, we sought to find a delicate balance between maximizing efficiency while meeting our capacity needs. To do so, we made the changeover of our entire fleet over to vehicles that have high fuel efficiency and sustainable materials. Built up our capabilities and clients: We continued to expand our capabilities to provide service to larger clients with commercial space including buildings that exceed 80,000 square feet. We’re thrilled to report that our laser focus on becoming a zero-waste organization and hiring the REIT-fit team members has led to these impressive outcomes for our clients – and to results that help us work toward a better tomorrow! We’re proud to have customers who are equally committed to our mission of Balance – we continue to provide them with the same service they’ve appreciated for years (and in some cases, decades!). Lately, we have been especially excited about some of our newer customers – these organizations have hired Reitmeier in part because of the efforts we put forth for our clients, employees, and the environment. New clients such as Nike, Jones Lang LaSalle (JLL), TriMet, and Lincoln Property Company (LPC) are all the “REIT fit” for us because they are equally committed to environmental sustainability and providing a great atmosphere for their employees and tenants. JLL asserts that sustainability is about more than the environment – they hold themselves accountable for the social, environmental, and economic impacts of their operations. As part of this commitment, JLL drives significant change by minimizing the environmental impact of real estate and enhancing the economic and social benefits of their industry. 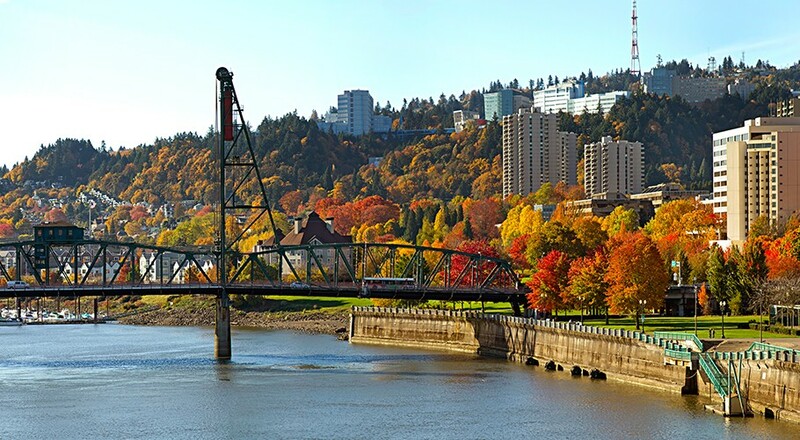 TriMet strives to build and operate their system in the most sustainable way possible, from construction projects to daily operations. They build and maintain tracks, signals, shelters, stations and facilities with careful concern for our environment and our community. LPC is an Energy Star Partner and is committed to achieving the IREM Certified Sustainable Property certification, which assess the sustainability performance of existing properties in five categories – energy, water, health, recycling, and purchasing practices. Our team is growing – spread the word! As a result of our exciting new strategies and rapid growth, we are opening up spaces for new service technicians. Please help us spread the word! If you know someone who would appreciate working with clients like Nike and TriMet, we encourage them to look at our Careers Page. Thank you for your commitment to Reitmeier – we appreciate your loyalty and we work hard to be available for your needs. We’re excited to continue to grow our company and to continue reaching new heights! To read more about the projects Reitmeier has worked on, take a look at our case studies!